Situated in the middle of Holland Park, every summer the temporary structure of the Holland Park Theatre is erected. 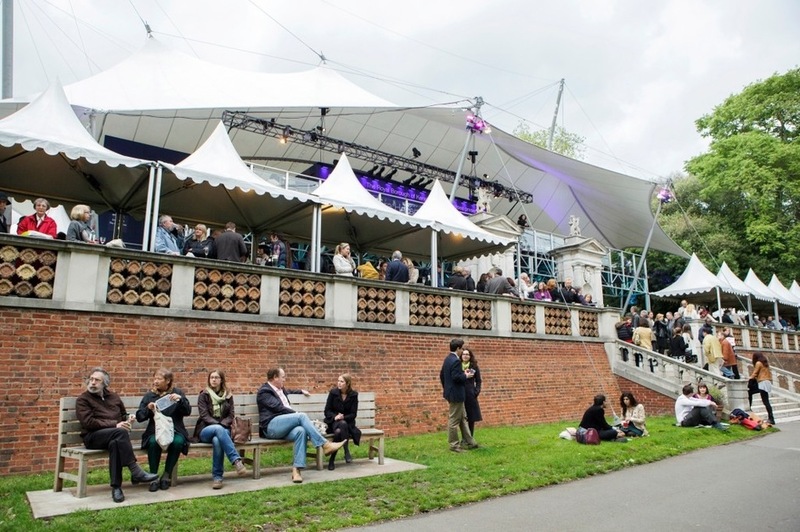 The home of Holland Park Opera is one of London's more remarkable outdoor theatres. A tensed steel canopy, supported by soaring v-shaped poles but open at the sides to let in the summer air. This structure works with the eighteenth-century buildings of the park to create a unique venue for summer performances. A staging of Puccini's opera in four acts about a man who plans to marry his sister to an older and wealthier suitor, despite her affection for a younger rival. Sung in Italian with English surtitles. Avi Stein conducts a semi-staged concert performance of Purcell's opera with Juilliard415 and singers from Juilliard's Marcus Institute For Vocal Arts. Directed by Mary Birnbaum. Love, power and politics collide in this opera, based on the real life assassination of King Gustav III of Sweden who was shot at a masked ball in 1792. Directed by Rodula Gaitanou. Sung in Italian, with English surtitles. What are the best dining options near Holland Park Theatre London? Holland Park Theatre gyms, sporting activities, health & beauty and fitness. The best pubs near London Holland Park Theatre. Holland Park Theatre clubs, bars, cabaret nights, casinos and interesting nightlife. Where to have your meeting, conference, exhibition, private dining or training course near Holland Park Theatre. From cheap budget accommodation to luxury 5 star hotels see our special offers for Holland Park Theatre hotels, including NH Kensington Hotel London from 89% off.